This article is excerpted from the author’s A Realistic Libertarianism. Left-libertarians profess to apply libertarian principles more consistently than other libertarians. In fact, their role is to serve as Viagra to the State. This becomes apparent when one considers their position on the increasingly virulent question of migration. Left-libertarians are typically ardent advocates in particular of a policy of ‘free and non-discriminatory’ immigration. If they criticize the State’s immigration policy, it is not for the fact that its entry restrictions are the wrong restrictions, i.e., that they do not serve to protect the property rights of domestic citizens, but for the fact that it imposes any restrictions on immigration at all. But on what grounds should there be a right to un-restricted, “free” immigration? No one has a right to move to a place already occupied by someone else, unless he has been invited by the present occupant. And if all places are already occupied, all migration is migration by invitation only. A right to “free” immigration exists only for virgin country, for the open frontier. There are only two ways of trying to get around this conclusion and still rescue the notion of “free” immigration. 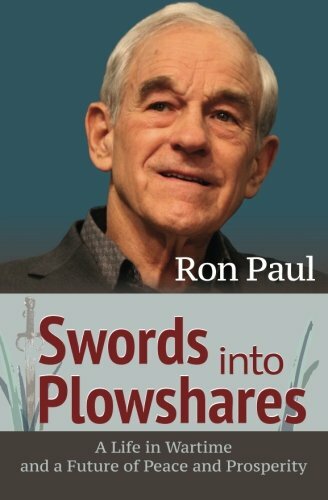 The first is to view all Swords into Plowshares Ron Paul Best Price: $1.69 Buy New $15.99 (as of 11:50 EDT - Details) current place occupants and occupations with moral suspicion. To this purpose, much is made of the fact that all current place occupations have been affected by prior State-action, war and conquest. And true enough, State borders have been drawn and redrawn, people have been displaced, deported, killed and resettled, and state-funded infrastructure projects (roads, public transportation facilities, etc., etc.) have affected the value and relative price of almost all locations and altered the travel distance and cost between them. From this undisputable fact it, though, does not follow that any present place occupant has a claim to migrate to any place else (except, of course, when he owns that place or has permission from its current owner). The world does not belong to everyone. The second possible way out is to claim that all so-called public property – the property controlled by local, regional or central government – is akin to open frontier, with free and unrestricted access. Yet this is certainly erroneous. 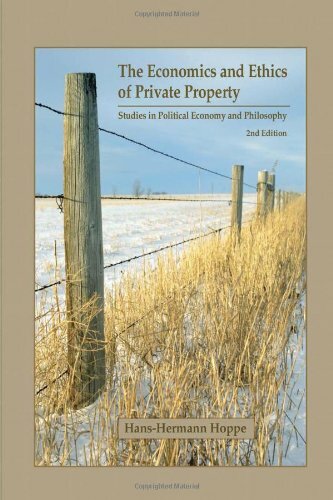 From the fact that government property is illegitimate because it is based on prior expropriations, it does not follow that it is un-owned and free-for-all. It has been funded through local, regional, national or federal tax payments, and it is the payers of these taxes, then, and no one else, who are the legitimate owners of all public property. 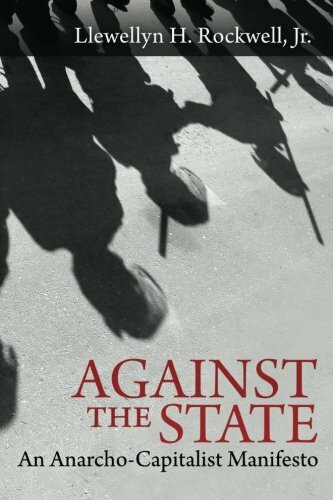 They cannot exercise their right – that right has been arrogated by the State – but they are the legitimate owners. In a world where all places are privately owned, the immigration problem vanishes. There exists no right to immigration. There only exists the right to trade, buy or rent various places. Yet what about immigration in the real world with public property administered by local, regional or central State-governments? First off: What would immigration policies be like if the State would, as it is supposed to do, act as a trustee of the taxpayer-owners’ public property? What about immigration if the State acted like the manager of the community property jointly owned and funded by the members of a housing association or gated community? At least in principle the answer is clear. A trustee’s guideline regarding immigration would be the “full cost” principle. 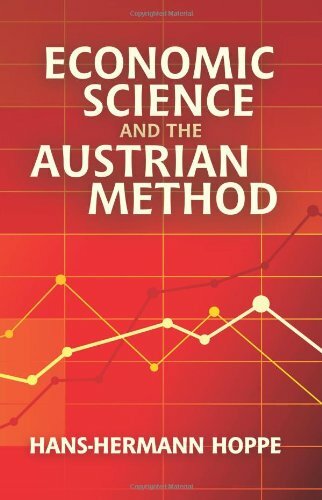 That is, the immigrant or his inviting resident should pay the full cost of the immigrant’s use made of all public goods or facilities during his The Myth of National D... Hans-Hermann Hoppe Best Price: $29.53 Buy New $18.09 (as of 03:05 EDT - Details) presence. The cost of the community property funded by resident taxpayers should not rise or its quality fall on account of the presence of immigrants. On the contrary, if possible the presence of an immigrant should yield the resident-owners a profit, either in the form of lower taxes or community-fees or a higher quality of community property (and hence all-around higher property values). What the application of the full cost principle involves in detail depends on the historical circumstances, i.e., in particular on the immigration pressure. If the pressure is low, the initial entry on public roads may be entirely unrestricted to ‘foreigners’ and all costs insofar associated with immigrants are fully absorbed by domestic residents in the expectation of domestic profits. All further-going discrimination would be left to the individual resident-owners. (This, incidentally, is pretty much the state of affairs, as it existed in the Western world until WW I.) But even then, the same generosity would most likely not be extended to the use made by immigrants of public hospitals, schools, universities, housing, pools, parks, etc.. Entry to such facilities would not be “free” for immigrants. To the contrary, immigrants would be charged a higher price for their use than the domestic resident-owners who have funded these facilities, so as to lower the domestic tax-burden. And if a temporary visitor-immigrant wanted to become a permanent resident, he might be expected to pay an admission price, to be remitted to the current owners as compensation for the extra-use made of their community property. But of course, then: this is not what the State does. The immigration policies of the States that are confronted with the highest immigration pressure, of the US and Western Europe, have little resemblance with the actions of a trustee. They do not follow the full cost principle. They do not tell the immigrant essentially to “pay up or leave.” To the contrary, they tell him “once in, you can stay and use not just all roads but all sorts of public facilities and services for free or at discounted prices even if you do not pay up.” That is, they subsidize immigrants – or rather: they force domestic taxpayers to subsidize them. In particular, they also subsidize domestic employers who import cheaper foreign workers, because such employers can externalize part of the total costs associated with their employment – the free use to be made by his foreign employees of all resident public property and facilities – onto other domestic taxpayers. And they still further subsidize immigration (internal migration) at the expense of resident-taxpayers in prohibiting – by means of non-discrimination laws – not only all internal, local entry restrictions, but also and increasingly all restrictions concerning the entry and use of all domestic private property. Resident owner-taxpayers are thus harmed twice: once by indiscriminatingly including some classes of immigrants even if they can’t pay up and on the other hand by indiscriminatingly excluding other classes of immigrants even if they can. Left-libertarians do not criticize this immigration policy as contrary to that of a trustee of public property ultimately owned by private domestic taxpayer-owners, however, i.e., for not applying the full-cost principle and hence wrongly discriminating, but for discriminating at all. Free, non-discriminatory immigration for them means that visa-free entry and permanent residency be made available to everyone, i.e., to each potential immigrant on equal terms, regardless of individual characteristics or the ability to pay for the full cost of one’s stay. Everyone is invited to stay in Germany, the Netherlands, Switzerland or the US, for instance, and make free use of all domestic public facilities and services. To their credit, left-libertarians recognize some of the consequences this policy would have in the present world. Absent any other, internal or local entry restrictions concerning the use of domestic public properties and services and increasingly absent also all entry restrictions regarding the use of domestic private property (owing to countless anti-discrimination laws), the predictable result would be a massive inflow of immigrants from the third and second world into the US and Western Europe and the quick collapse of the current domestic ‘public welfare’ system. Taxes would have to be sharply increased (further shrinking the productive economy) and public property and services would dramatically deteriorate. A financial crisis of unparalleled magnitude would result. Yet why would this be a desirable goal for anyone calling himself a libertarian? True enough, the tax-funded public welfare system should be eliminated, root and branch. But the inevitable crisis that a “free” immigration policy would bring about does not produce this result. To the contrary: Crises, as everyone vaguely familiar with history would know, are typically used and often purposefully fabricated by States in order to further increase their own power. And surely the crisis produced by a “free” immigration policy would be an extraordinary one. What left-libertarians typically ignore in their nonchalant or even sympathetic appraisal of the predictable crisis is the fact that the Against the State: An ... Llewellyn H. Rockwell Jr. Best Price: $5.00 Buy New $9.30 (as of 10:25 EDT - Details) immigrants who caused the collapse are still physically present when it occurs. For left-libertarians, owing to their egalitarian preconceptions, this fact does not imply a problem. For them, all people are more or less equal and hence, an increase in the number of immigrants has no more of an impact than an increase of the domestic population via a higher birthrate. For every social realist, however, indeed for everyone with any common sense, this premise is patently false and potentially dangerous. A million more Nigerians or Arabs living in Germany or a million more Mexicans or Hutus or Tutsis residing in the US is quite a different thing than a million more home-grown Germans or Americans. With millions of third- and second-world immigrants present when the crisis hits and the paychecks stop coming in, it is highly unlikely that a peaceful outcome will result and a natural, private-property-based social order emerge. Rather, it is far more likely and indeed almost certain that civil war, looting, vandalism, and tribal or ethnic gang warfare will break out instead – and the call for a strong-man-State will become increasingly unmistakable. The answer as to ‘why not?’ appears simple, however. In contrast to left-libertarians, the ruling elites are still realistic enough to recognize that besides great opportunities for State growth, the predictable crisis would also entail some incalculable risk and could lead to social upheavals of such proportions that they themselves may be swept out of power and be replaced by other, ‘foreign’ elites. Accordingly, the ruling elites proceed only gradually, step by step, on their path toward a “non-discriminatory multiculturalism.” And yet they are happy about the left-libertarian “free immigration” propaganda, because it helps the State not just to stay on its present divide et impera course but to proceed on it at an accelerated pace. Contrary to their own anti-statist pronouncements and pretensions, then, the peculiar left-libertarian victimology and its demand for undiscriminating niceness and inclusiveness vis-a-vis the long, familiar list of historical “victims,” including in particular also all foreigners qua potential immigrants, actually turns out to be a recipe for the further growth of State power. The cultural Marxists know this, and that is the reason why they adopted the very same victimology. The left-libertarians do apparently not know this and are thus the cultural Marxists’ useful idiots on their march toward totalitarian social control. Hans-Hermann Hoppe [send him mail] is distinguished fellow at the Mises Institute and founder and president of the Property and Freedom Society. 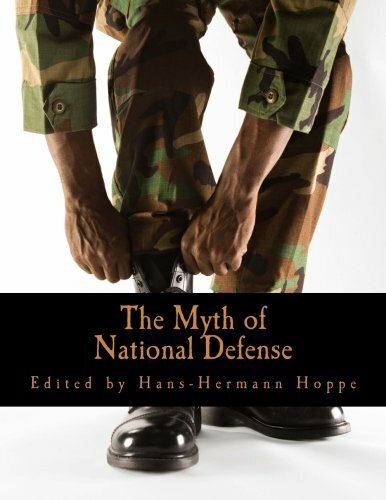 His books include Democracy: The God That Failed and The Myth of National Defense. Visit his website.